It’s almost winter so that means cuffing season is almost here. Who better to provide the soundtrack to this year’s cuffing pre-season than Esta & Kay Franklin? The two have returned to drop off the Hueman EP, an eight-song project full of various contemporary R&B sounds. 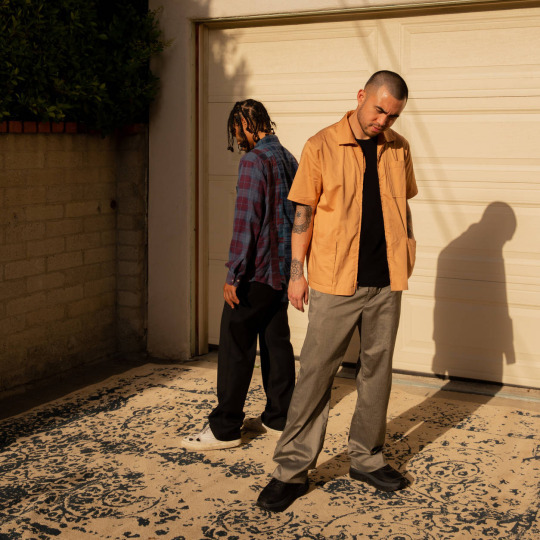 Esta is a California-based producer known for his ties to Soulection, notable DJ sets, and his ability to blend house, reggae, electronic and more into his R&B production. Inglewood’s Kay Franklin hit our radar a few years ago with his collaborations with Joyce Wrice and we’re happy to hear more from him now years later. It’s easy to hear the synergy between Esta and Kay and the Hueman EP does not disappoint. Some of our standout out tracks are “Honey”, “Bout Me”, and “Love Like You.” We recently had Esta and Kay in our studio and will be dropping an exclusive Quick 6 with them soon! Listen to the full EP HERE and let us know what songs stand out to you. October 28, 2016 Presenting your #NowWatching playlist of the week, featuring the crème de la crème of music released over the previous week. April 24, 2019 With an effortlessly smooth sound, Rakei is exploring the idea of technological growth and how it may affect humanity.